It isn't exactly as accessible as Hilton Head Island, or even the Masai Mara for that matter, but Ethiopia deserves travelers' attention. One caveat: If you rarely venture beyond the Marriot, then this may not be too appealing to you. That being said, those who privilege comfort over experience will be missing out..
#1 Lalibela: Let's start with the big hitters. 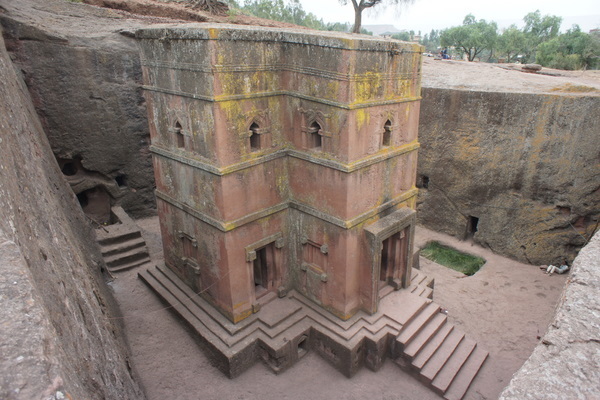 Within the small town of Lalibela lies 13 churches cut by hand from the mountain, said to be an attempt to replicate Jerusalem by 13th Century King Lalibella. To avoid overdosing on adjectives, I'll leave it to the voice of Portuguese priest Francisco Alvares in the 1520s "I weary of writing more about these buildings, because it seems to me that I shall not be believed if I write more ... I swear by God, in Whose power I am, that all I have written is the truth". 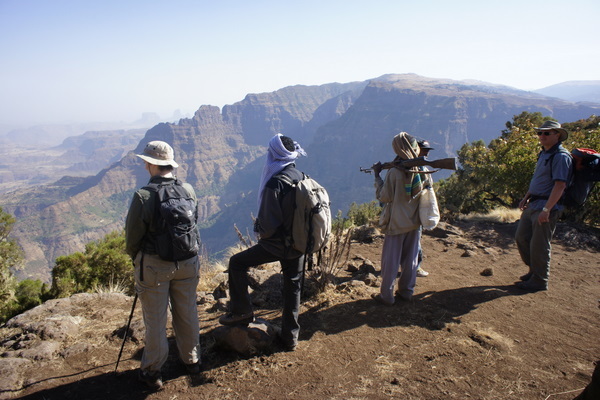 #3 The Simien Mountains: If I were to tell you that you could do a four or five day hike along a highland ridge with some of the most incredible views in the world while rare Gelada Baboons, graceful Walia Ibex and vast vultures clamour for your attention would you be interested? I thought so. #4 The Lower Omo Valley: For anthropologists and tourists alike the Omo Valley is a rich kaleidoscope of tribal culture, a cross-road of early humanoid migrations. Nowhere else on Earth is there such variety of cultures within such a small area. Getting here isn't easy, expect to spend a lot of time in the back of a 4wd on notoriously bad roads, but the markets and the cultures are fascinating. #5 The Denakil Depression: This is for the seriously adventurous only. A long, jarring and hot journey from Addis takes you into the land of the Afar. The lowest point in Africa plays host to temperatures regularly exceeding 120 degrees Fahrenheit and an incredible illuminated volcanic landscape. 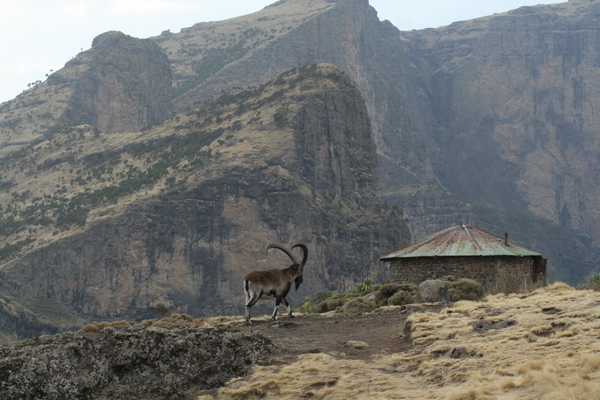 The Afar have a notorious reputation for hostility to visitors (or trespassers depending on your view point). If you have a complaint about customer service, then this is not the place for a Lower Manhattan prima donna scene. Play it by the book though and you are rewarded with a fascinating people and a wild unforgiving inhuman wilderness. Camping on the rim of the live volcano is out of this world. #6 The Harar High: The Lonely Planet talks of the unique ambience and says you'll feel like you are "floating through another time and space" and there is truth in those words, but not in the way they mean it. Harar is undoubtedly a gem, an ancient Muslim walled City in the East of the country. The nightly Hyena feeding sessions feel touristy, but here lies a serious tradition. Back to the "time and space" point though. The thing the LP isn't telling you is that Harare is notorious as a centre of chat culture. Chat is a mildly intoxicating relaxing and addictive narcotic. The streets of Harar are full of men chewing their way through a big bag of leaves floating through "another time and space" and it grants this City a rather unique ambience. #7 The Guns: This is arguably a little unfair, but there is something unnervingly jarring about sitting on a bus and seeing locals clamber on with automatic rifles slung over their shoulder. Many Ethiopians, particularly in rural areas carry guns around with them all day every day, it is a cultural thing apparently and I never felt threatened, but still, peculiar, very peculiar. #8 Lucy: There is a wonderful museum in the capital Addis Ababa that (sometimes) holds the bones of what once stood as the oldest ever discovered hominid, the 3.2 million year old Lucy. The museum is a fascinating anthropological diversion, but unfortunately for Ethiopians, she is currently on a 6 year tour of the States. #9 Injera: Ethiopians eat Injera for breakfast, lunch and dinner and many would happily exist solely on this rather unusual dish. Imagine an ever so slightly bitter pancake the size of a man-hole cover piled. This is Injera. Spicy vegetarian and meat stews are heaped atop and diners proceed to tear at it, using it as plate, spoon and staple food all in one. 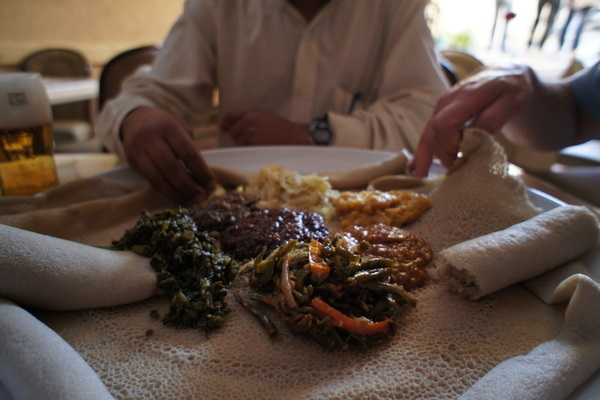 The piece de resistance for many injera aficionados is injera firfir, which roughly translated is soggy injera stew served on a big piece of injera, a double helping at which I firmly draw the line. 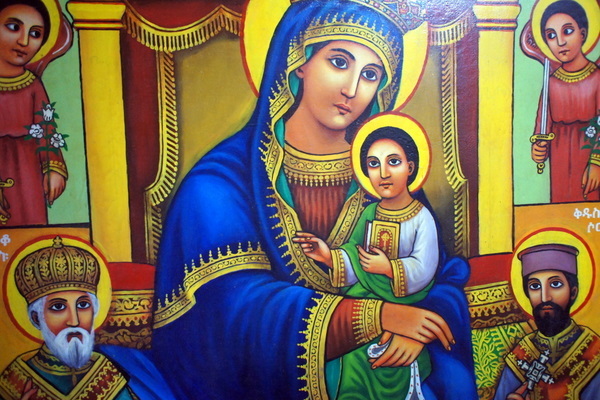 #10 Religion: Religion is central to Ethiopian culture. Every single person I meet in Ethiopia asks me what my religion is. But it never stops there. An often unnerving belief in literal interpretations of Christianity combined with an unending questioning nature makes for fascinating conversations that are quite frankly out of my depth. For anybody bought up with a Western view of Christianity it is entirely refreshing seeing Jesus portrayed in ancient frescos in the likeness of an Ethiopian. I am french guy and intend to comme alone at the end of september, for 3 weeks. I d like to visit the main sites you mentionnes including Danakil depression and Lake Tana. I hope that the current drought is resorbing (I ve heard that it s raining now in Somalia) and would like to be sure that my touristic present does not affect local people during this diffucult period. For Danakil depression I will go only if I can share with other people I could meet in Addis Abeba or somewhere else... and if the drought is not too strong in october. I think it's a cultural event or traditional night to enjoying stag party.